Why do the Events keep replaying? How do I pause them or move on to the next one? - Frequently Asked - Alfred Center | get the most out of the best home security app! Why do the Events keep replaying? How do I pause them or move on to the next one? 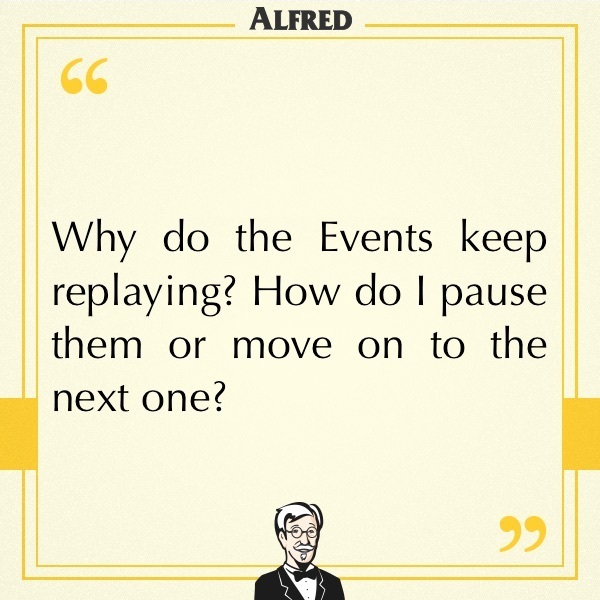 Since Alfred’s Events are not very long (between 5 to 30 seconds, depending on the movement), Alfred automatically replays them by design. You can move on to the next Event by swiping left. For Android devices, pause them by tapping on the center of the screen. For iOS devices, find the pause icon at the bottom.